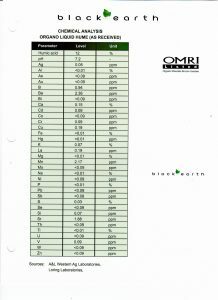 Black Earth’s ACTIC80 AG formally Mini-Granule Coarse is OMRI LISTED, and is guaranteed to contain a minimum of 80% humic acid. ACTIV80 AG is suitable as a soil amendment, fertilizer enhancer and animal feed supplement. This product can also be used as a microbial growth promoter for soil remediation and waste treatment. Recommend application Rate is 40 lbs per acre in-furrow or between 200-400 lbs broadcast onto the soil after harvest. Black Earth’s HumaPal is a diffusing prill with over 80% humic acids it is designed to have a rapid breakdown, high strength, low dust and 100% compatible with all dry fertilizers. Suitable for precision agriculture and fertilizer blends. Black Earth’s ACTIV80 DS formely called Dry Soluble 80 is OMRI Listed, and can be used directly or diluted in water without any settlement. It is very effective as a soil amendment, foliar spray, fertilizer enhancer, hydrocarbon flushing agent and microbial growth promoter for soil remediation and waste treatment. Black Earth’s ACTIV12 is an Organo Liquid Hume with a 12% Humic Acid content that is OMRI Listed. Activ12 is an effective soil amendment, foliar spray and fertilizer enhancer. This product is also suitable as a flushing agent for hydrocarbon components in soil and microbial growth promoter for soil remediation and waste treatment. 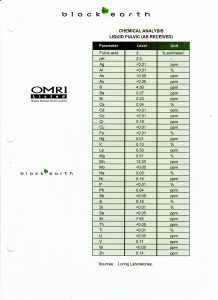 Black Earth Organo Liquid Hume Ultra, is an effective soil amendment, foliar applied fertilizer enhancer. ACTIV24 is OMRI Listed as well. This product is also suitable as a flushing agent for hydrocarbon components in soil and microbial growth promoter for soil remediation and waste treatment. Black Earth Concentrated Fulvic has a 6.0 pH and is mechanically extracted using nano-filtration technology. Suitable for fertilizer enhancement and foliar sprays for optimum chelation. Black Earth’s ACTIV FC is Black Earth’s concentrated fulvic acid which is OMRI listed and has a 6.0 pH and is mechanically extracted using nano-filtration technology. Suitable for fertilizer enhancement and foliar sprays for optimum chelation. We supply top quality low salt liquid starter & foliar fertilizers, soil amendments, as well as inoculants for your pulse crops. Please contact us for more information.